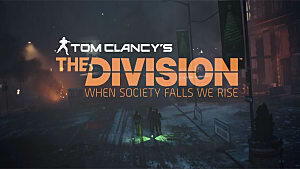 In march of this year, Ubisoft Massive released the online third person cover shooter, The Division. And boy, do I have mixed opinions about this one. The Division is a hollow and mediocre experience, yet simultaneously was incredibly satisfying to consume. By all counts I should hate The Division. A story without any flesh, gameplay with little diversity, and a world on the cusp of being interesting. Yet I found myself addicted. Completing every side mission, every encounter, desperate to score my next piece of loot. At WhatshouldIplaytoday we provide a special breed of review. Too many review’s offer generic phrases and hyperbolic adjectives. This review aims to make real comparisons to games you may have loved, or hated. Therefore you can establish a sense of how the game feels without even playing it. This is of course on top of providing a general overlook on where the game works, and where it doesn’t. So let’s dive straight into it. 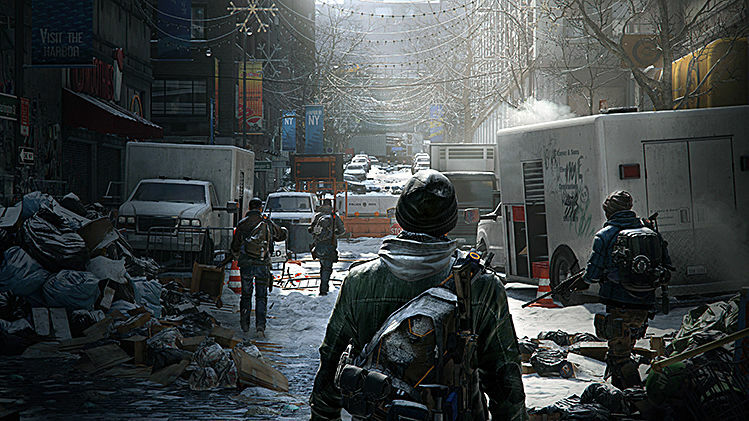 The Division has little meat on its bones in regards to narrative and world building. The New York setting holds a general amount of intrigue as you step forth into it for the first time. Trash bags line the streets, cars abandoned, homes ransacked, every nook and cranny lined with a thin sheet of snow. New York has crumbled under the weight of a deadly pandemic. 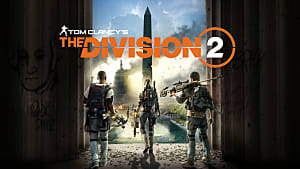 As a secret operative of The Division it is your duty to return control of this once proud city to the proper authorities, and search for a cure to this deadly virus. An interesting concept. However the story doesn’t evolve beyond this. Every street is a carbon copy of the one before. Cut scenes are few and far between, with most of the storytelling provided through radio calls. There is no character development for your protagonist. They are silent and emotionless throughout the entire experience. For the most part, you’ll spend your days in New York gunning down members of three varying gangs. 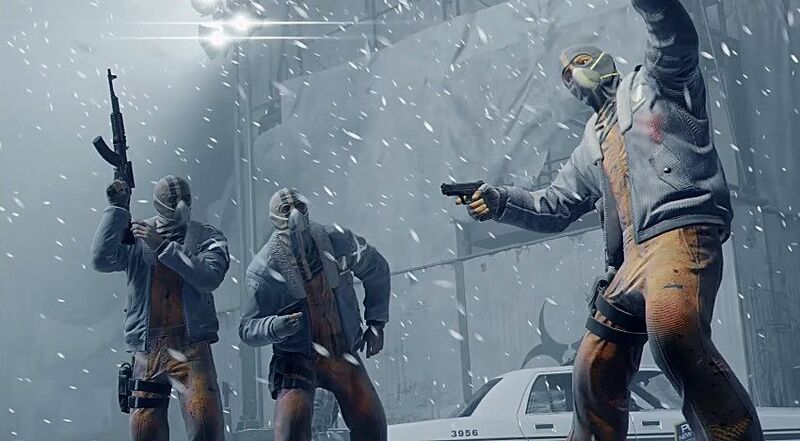 The Division does little to differentiate these enemies or provide the player with a believable enough motive to engage them. A group of men stand in the street discussing their need for food. I view them from a distance. They are wearing hoodies and have red bars over their heads. So I should kill them right? I execute them before they even see me. Just a bunch of guys in hoodies, who were kind of hungry. So as I say, The Division doesn’t put the greatest amount of focus into narrative or world building. 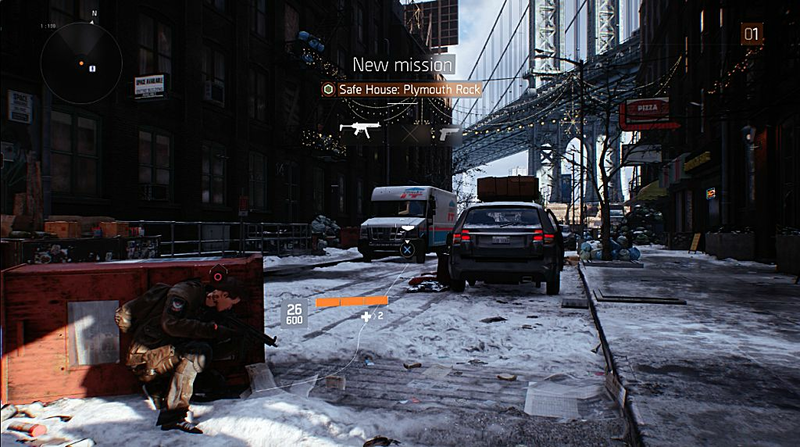 However if there is one thing I can guarantee about the division, it’s that IT IS a competent third person shooter. Aiming is precise, the various weapons all have a distinctive and weighty feel to them, with modifications adding a satisfying level of improvement to your fire arm of choice. I initially and somewhat naively looked upon The Division’s post pandemic rendition of New York and thought of The Last of Us. Therefore when aiming my weapon and firing an expertly aimed shot at a looters head, I expected them to crumple under the weight of my bullet. However to my surprise the looter, and his fellow vandals, turned with a defiant cry and fired back. If you were expecting satiating one hit kills like myself you are looking at The Division the wrong way. This is far more akin to a loot based RPG than a third person action game. Enemies are bullet sponges and will take at times an entire clip to silence. And you’ll kill these unfortunate individuals in mass, so that you can continue your grind to leveling up and possibly finding a better back pack or sweater. Hand to hand combat is virtually non-existent and clunky. And face an enemy a level or two too high and it’ll only take a handful of shots to bring you down. Therefore cover and firing from a distance is key to your survival. Like hand to hand combat movement is also somewhat clumsy when out of cover. 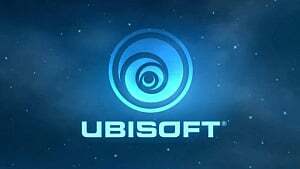 Therefore a movement system similar to Xcom has been implemented. Despite the awkwardness of running around freely, strategically moving from cover to cover is smooth and efficient. Then there is the loot system. Many games struggle with this particular facet of RPG/ MMO design. When playing Destiny, rare and exciting loot was hard to come by, weapons felt familiar before even being used, and rewards from particularly challenging encounters felt lackluster. However in this respect The Division feels more attune to Borderlands rather than Destiny. Although not as plentiful as Borderlands, The Division provides loot at a steady stream as you progress. Larger encounters providing generally rewarding gear. There is an immense satisfaction from spending hours struggling in the trenches against a set of enemies, finding a more powerful rifle or shotgun and obliterating them with a single round. 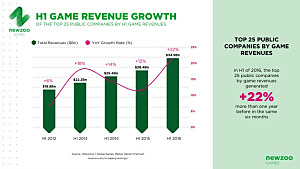 Never have I grown so excited over statistics and numbers. So we’ve discussed the shooting mechanics, the cover system, and loot frequency. 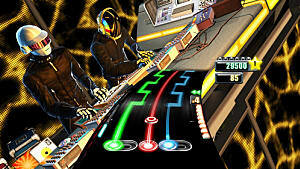 However the most divisive and eagerly awaited aspect of this game has been its multiplayer. And on this topic I have mixed feelings. The drop in drop out co-op during story missions is fantastic. Coordinating plans and flanking manoeuvres with friends is a blast, and it’s equally entertaining to jump in with a few random players. It’s definitely a perk being revived by a squad member when you get downed, and witnessing the added chaos of other players in a firefight always intensifies the action. 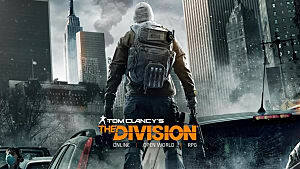 Whether familiar friends or silent strangers, I recommend you play online for the full Division experience. However the Dark Zone is not so welcoming. The Division’s player vs player arena is a formidable territory, and the only post game activity to bide your time before the next expansion. The problem with this area being, without a reliable team, you’re often an easy target for other players. 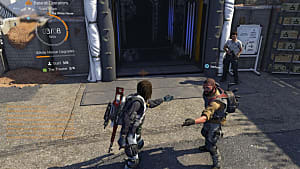 Occasionally, a kind stranger would assist me when cornered by a few high level Rikers (one of the three gang types). But for the most part I was gunned down by larger groups before I could secure any valuable loot. The Dark zone could have been a fantastic way to keep the Division alive, but when elitist unity is valued and the solo player is hunted, this experience’s lack of longevity becomes obvious. So I’m torn with the Division, despite its solid third person shooter mechanics and engaging co-op opportunities, it screams mediocre in every other sense. 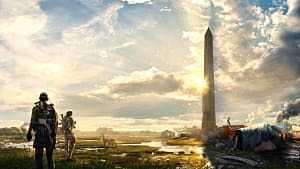 A lack of thought put into the narrative, a world that can grow incredibly tiresome, and a divisive end game experience. 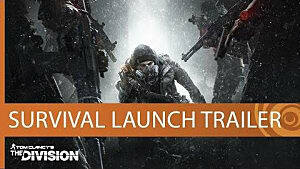 The Division is a game you will have to try for yourself. It is a fun experience, that I do not regret investing 30 hours into. But I enjoyed it, because of my desire to acquire new loot and to experience the feel of a more powerful firearm. If you were hoping for a Last of Us level tale, or even just a decent story, then The Division will certainly fall flat. Despite its solid third person shooter mechanics and engaging co-op opportunities, The Division screams mediocre in every other sense. The Division's Survival DLC Finally Hit PS4, Here's What's in It.